In March 1997 Damon & Naomi played their first London show at the tiny 12 Bar Club. I still remember that show with a mixture of bliss and discomfort but the most enduring of the blissful memories is the instrument that Naomi used. 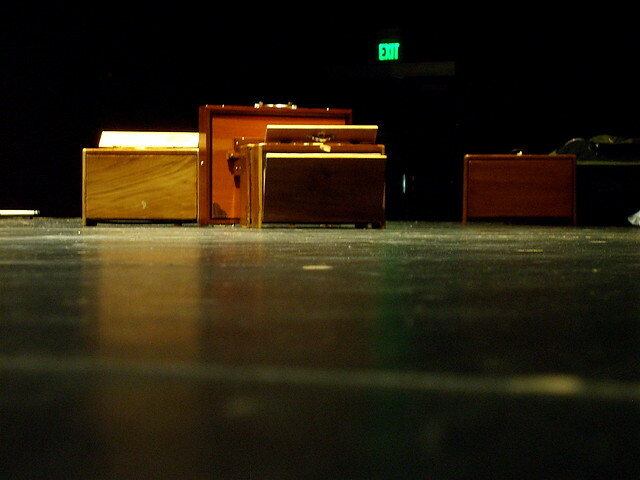 A sruti box is a simple one pitch harmonium that produces a beautiful drone. Since then Naomi has moved through a full harmonium and now plays a Nord ELectro 2 and while I'm sure she (and the audience) appreciates the flexibility of these instruments I must admit I miss the beautiful simplicity of the sruti. In the July 1997 issue of Ptolemaic Terrascope Damon & Naomi gave an interview which showed off the still tender wounds of the Galaxie 500 split. As a fan it was a hard read. Up until that point I was blissfully unaware of just how sad the split was. The 7" single that came with the magazine featured Damon & Naomi doing a cover of C.O.B. 's Spirit of Love, a sweet folk ditty sung over that lovely monotone sruti box drone. And because of that and because of the fond memories of that first Damon & Naomi show, Spirit of Love is one of my favourite Damon & Naomi tracks. For some reason it never saw the light of day beyond that Terrascope EP - hopefully one day it will. Until then you can hear this which has been lifted from my vinyl copy. I'm not an audiophile and I don't have expensive kit so what you are about to hear/download is not likely to sound as good as it probably ought to, but then...you didn't pay for it.